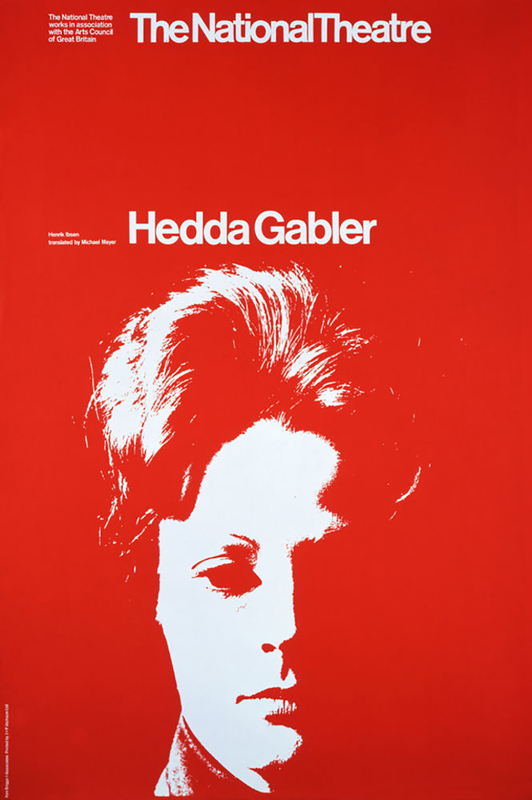 ollowing the institute's stunning legacy the volume National Theatre Posters : A Design History offer a double take on the theatre's true, unconditional love for masterfully skilled graphic design. 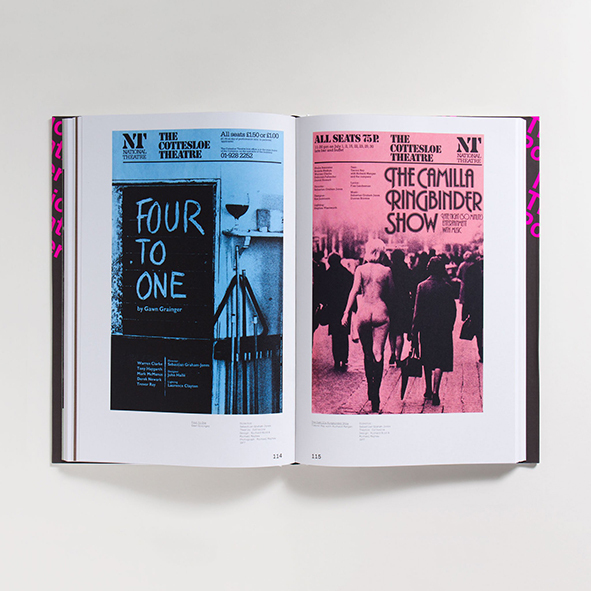 National Theatre Posters: A Design History, the book, is a comprehensive survey of the theatre’s best posters from the 1960s to the present day. 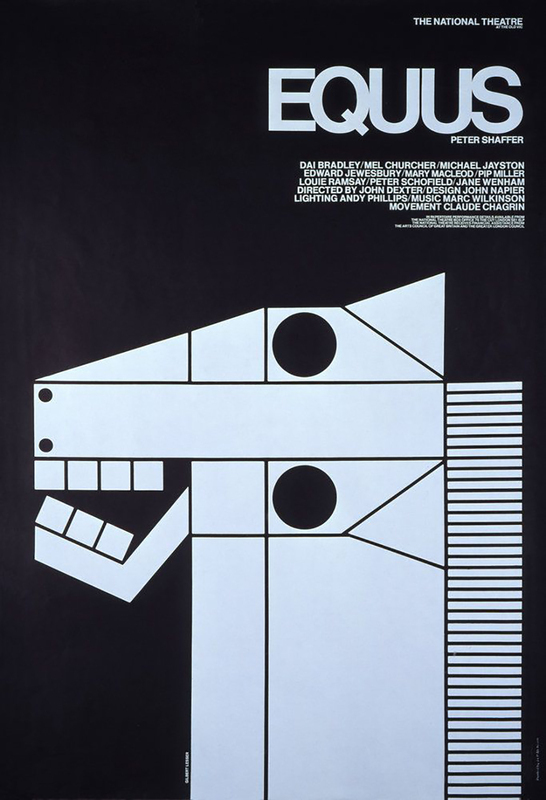 National Theatre Posters, the exhibition, takes us on a journey to inspiring poster brilliance. 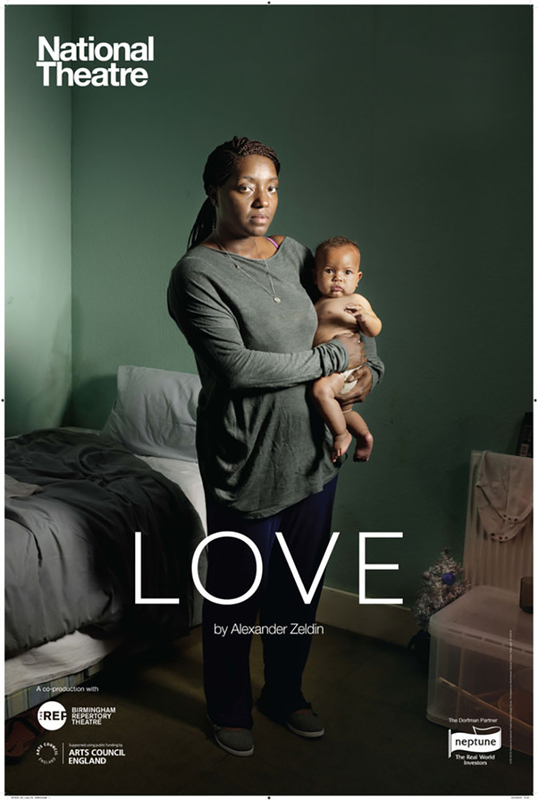 "We stage around 25 productions at our South Bank home each year, ranging from re-imagined classics – such as Greek tragedy and Shakespeare – to modern masterpieces and new work by contemporary writers and theatre-makers. The work we make strives to be as open, as diverse, as collaborative and as national as possible" writes NT, a cultural landmark in Britain's legacy in dramatic arts. Equally, The National Theatre is committed to good old, smart graphic deisgn which speaks volumes on it's numerous theatrical productions. 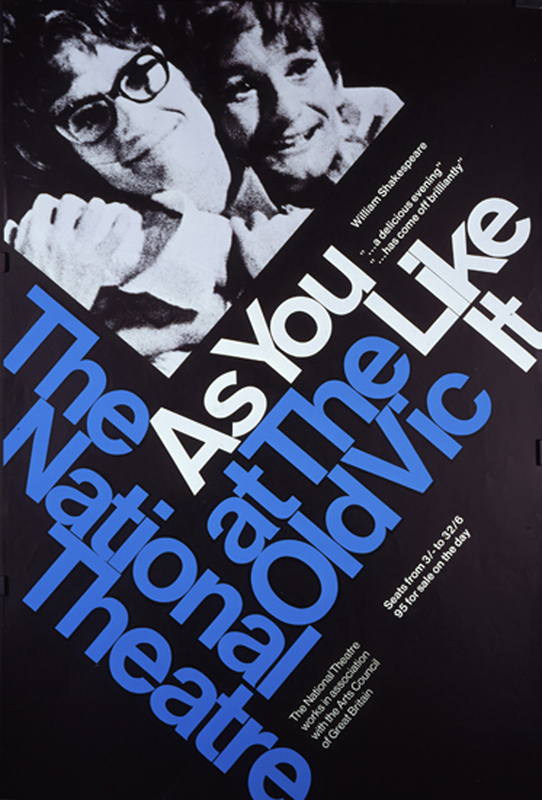 Across the decades, the National Theatre’s poster designs have been the responsibility of just five individuals: Ken Briggs, the theatre’s first graphic designer; Richard Bird; Michael Mayhew; Charlotte Wilkinson and Ollie Winser. 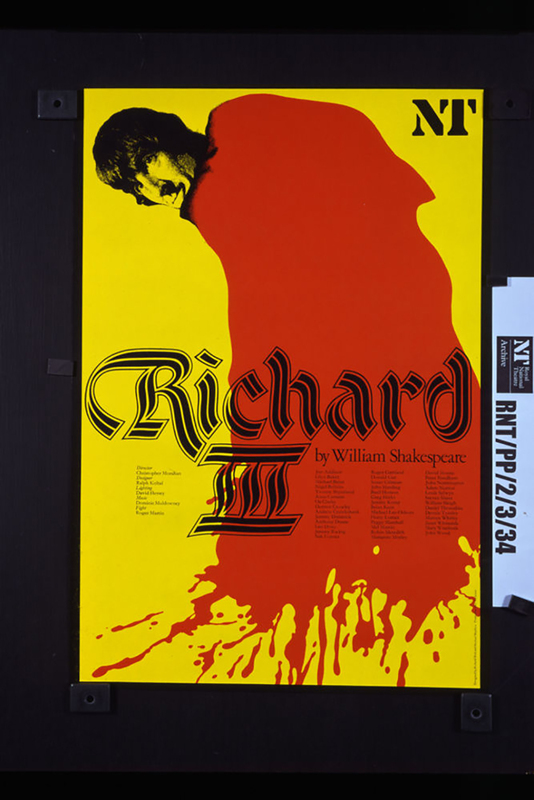 National Theatre Posters: A Design History is written and compiled by design writer Rick Poynor who is also curating the exhibition National Theatre Posters which opens in Wolfson Gallery on the 6th of October 2017. Curated by Poynor, this exhibition explores the evolution of poster design at the National Theatre, showcasing many classic examples. 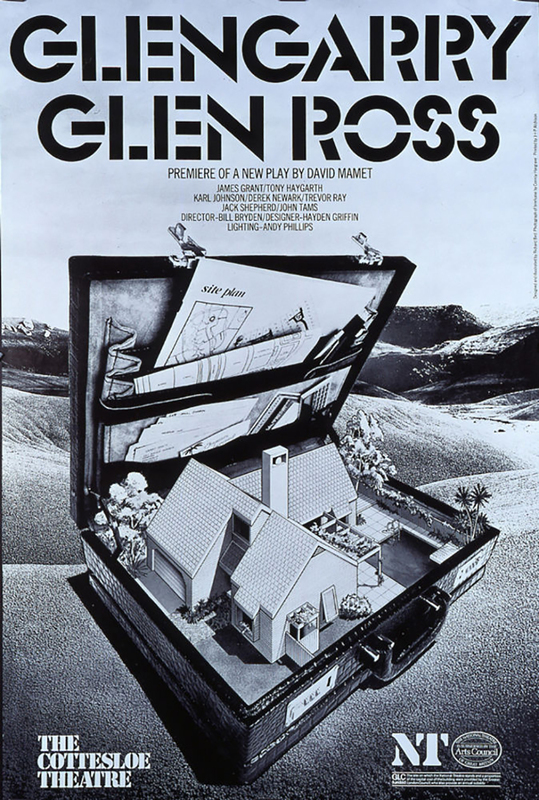 From 1963 to the present day, each art director led the theatre’s graphic design studio in creating images for posters, programmes and now digital artwork. It will feature posters designed by Ken Briggs, Richard Bird, Michael Mayhew, Charlotte Wilkinson and current Creative Director Ollie Winser and the Graphic Design team.Futhermore it will include original posters, interviews with past and current Art or Creative Directors and will trace the changes in process, design and function over the past 50 years. 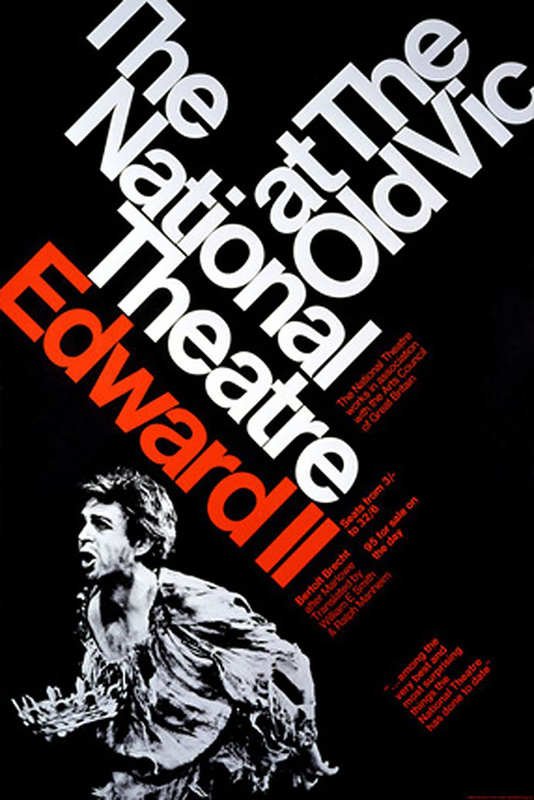 National Theatre Posters: A Design History (Unit Editions) will be launched to coincide with the exhibition which is accompanied by a programme of related events. Rick Poynor is a writer, critic, lecturer and curator, specialising in design, photography and visual culture. He founded Eye, co-founded Design Observer, and contributes columns to Eye and Print. He is Professor of Design and Visual Culture at the University of Reading in the UK. 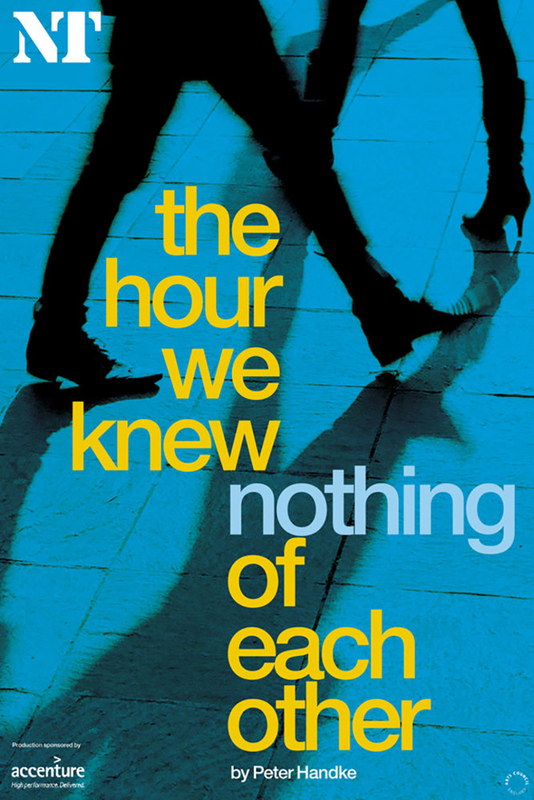 He has written extensively on the history of British visual communication. His books about the subject include Typographica (2001) and Communicate: Independent British Graphic Design since the Sixties (2004). His work has appeared in Eye, Blueprint, Frieze, Creative Review, Icon, Domus and many other publications. His other books include No More Rules: Graphic Design and Postmodernism (2003), Jan van Toorn: Critical Practice (2008) and the essay collections Design Without Boundaries (1998) and Obey the Giant: Life in the Image World (2001).